Beading Arts: Do you use BlogSpot or WordPress? Even though most (not quite all) professional bloggers prefer Wordpress for their blogging platform, I've noticed that many of us in the arts still stick with Blogger, aka BlogSpot. I'm not quite sure why that is. I've used both, and while I'm perfectly happy to use WP when I write for someone else, my heart still seems to belong to Blogger! Maybe because it has just the right amount of bells and whistles for me. I've been able to tweak it to look the way I want, and it doesn't have a bunch of stuff that I don't ever want to use. Anyway, if you are a Blogger user, you know that it can potentially hold you back from presenting a professional-looking face to the blogging world. It needs to be tweaked. I found a fabulous post by Darnell Clayton on BloggingPro titled 8 Tips for BlogSpot Lovers. Just what the blog doctor ordered! There's lots of great info on this blog in general, so once you've read through Darnell's post, go exploring for more helpful advice. On the other hand, if you love WordPress and use it for the sleek, sophisticated look it can give you, let's make sure your look really is sleek and sophisticated! 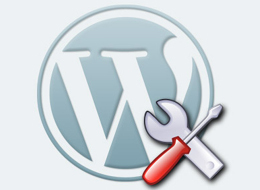 Brian Casel has written a post for Mashable called Top 10 Ways to Tweak Your WordPress Theme. You know, I hear such great things about WordPress that I am sometimes tempted to switch. But there's such an investment in getting your blog to look just the way you want it, I can't imagine starting from scratch. 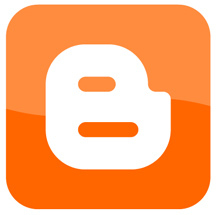 I'm even hesitant to look at the new design features in Blogger. I got part way there. When I read "Your template has been customized. This will remove all customization. ", I gingerly backed right on out of there! They are both tools :-) I think you need to pick the one that's going to do what you want with the least amount of fuss since you (personally) don't want to be a slave to your technology. If I were more of a techno-geek and always wanted the latest of everything, I'd definitely be using WP. I use blogspot, but I've shoved my hands so far into my html that you can hardly tell that it's hosted by a blogging site at all. I think I originally picked it over wordpress because it seemed less intimidating. BlogSpot is definitely easier for someone who doesn't want to muck about at all to use, Shaiha!